Hello everyone and Happy Friday! Welcome to November! This year is flying by! 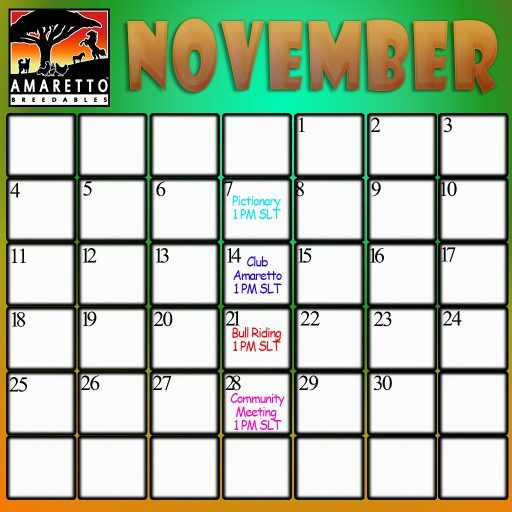 Today I wanted to take a moment to share the November Event and ARU Calendars with you. The Amaretto events are always super fun and a great way to communicate and have a good time with staff and fellow breeders! 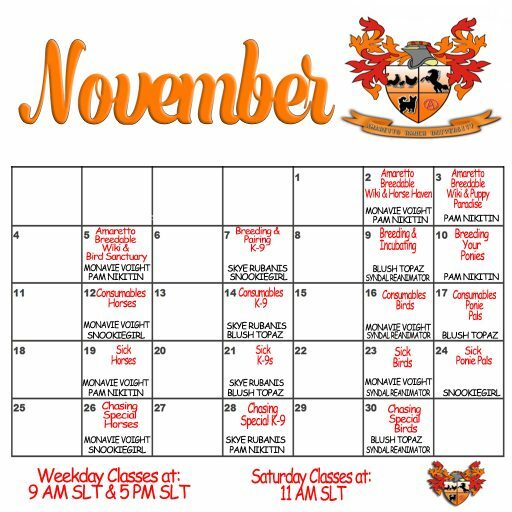 You don’t want miss out on these events… we have been known to give away prizes every now and then! Take a look at the fun below! Don’t forget to check out our ARU classes! They are very informative for new and seasoned breeders! Don’t miss out!